Homepage / FAQ / Shipzee balance: how it works? Shipzee balance: how it works? What is Shipzee's balance and how can I use it? Shipzee's balance is the fastest and most convenient way to pay for Shipzee's services or goods. 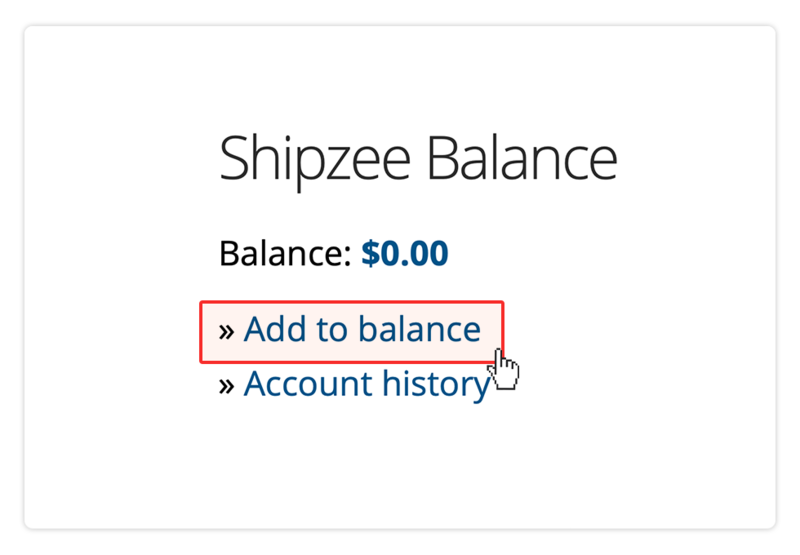 If you do not see the opportunity to pay Shipzee's balance when paying for goods or services, make sure you are signed in to your account and have enough credit to pay for the order. When paying for goods or Shipzee shipping services, your Shipzee balance credit must be at least equal to the amount payable. Please specify your email address and password to log in. 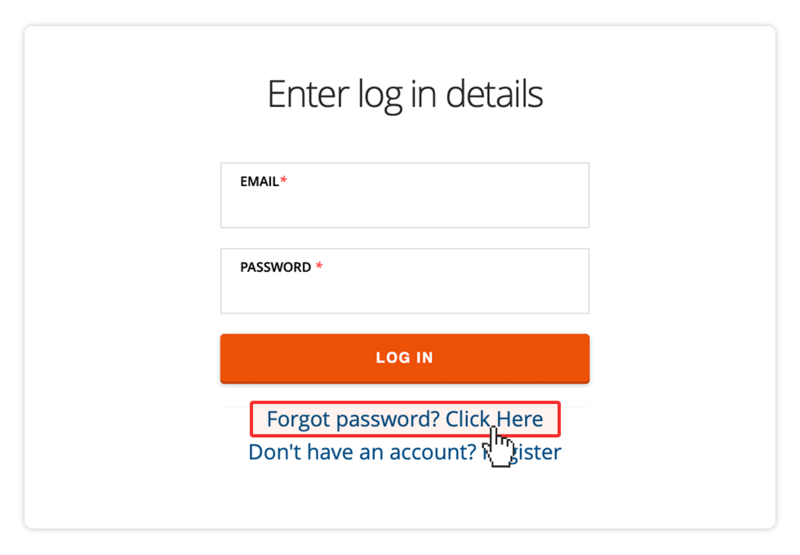 If you don't know your password click "Forgot Password?" 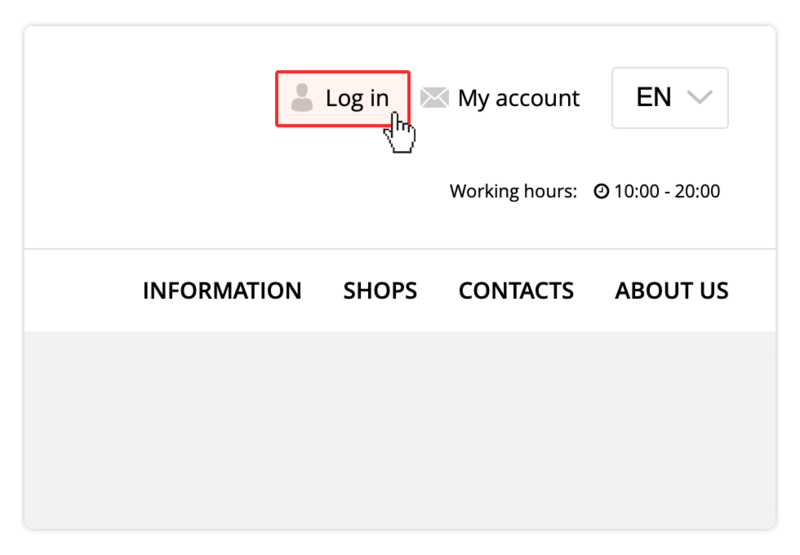 Important: If you have not signed up but have purchased goods using Shipzee, you should click "Forgot Password?" and enter the email address you provided at the time of purchase. 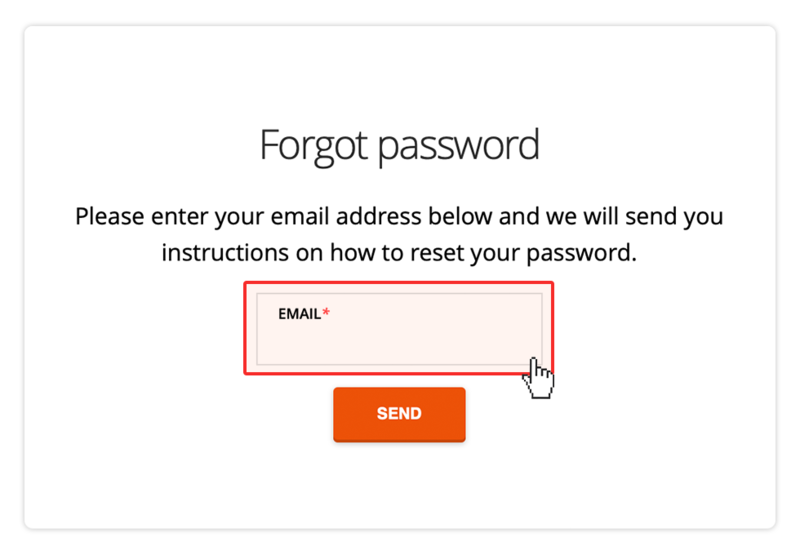 You will soon receive a password reset link to your mailbox. When you sign in to your account, add any amount you want to your balance. Click "Add to Balance" and enter the amount you want to add to your balance. 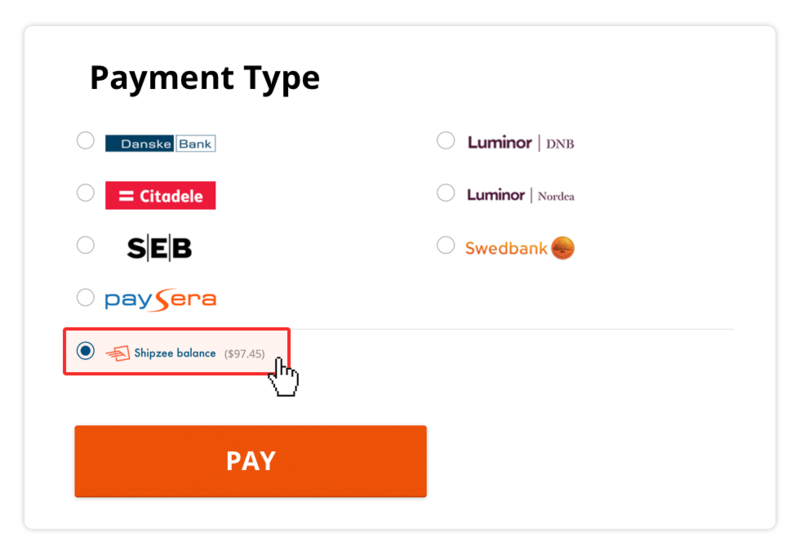 Shipzee Balance can be topped up only by making a direct bank transfer through any given payment processor at the checkout page. Important: when paying for order or Shipzee shipping services, your Shipzee balance credit cannot be less than the payable amount. No. There is no need to create an account if you want to use Personal Shopper service. Although, you can sign up to follow all your orders in one place. 2. Do I have to pay additional taxes when my package arrives to Lithuania? No. The price shown in your personal offer is final with all taxes included: customs taxes, VAT and delivery. You won’t be charged additionally after your package arrives to Lithuania. 3. How long will it take to deliver my package? After your order is shipped from our office in USA, it usually arrives to Lithuania in 7-10 business days by air shipment and in 4-6 weeks by sea shipment. You will be able to choose delivery type and compare shipping prices in your personal offer. All shipments are dispatched on Thursdays. Customs officers have a right to withhold packages for additional verification. In such cases standard delivery terms may be prolonged. 4. What payment methods can I use? Offers can be paid by direct bank transfer through PaySera payment system, Paypal and Visa or MasterCard credit cards, also with debit cards which have an activated online payment function. Important: all offers are based on USD. Final price in your local currency will be calculated by your chosen payment processor based on its currency exchange rate. 5. How will I get my package delivered to my home? All packages are delivered by couriers to your given address. 6. Do I get a tracking number to track my order? Yes. When your order is shipped from our office in USA you will be provided with a tracking number. 7. How can I get a quote for multiple items in one offer? If you want to get an offer for multiple items, you need to add additional links when requesting a quote. If you want to get separate offers for multiple items, you need to request separate quotes. 8. Where do I provide details relevant to the offer – sizes, colors and etc.? You can provide additional information in the “Comment” field. 9. What should I do if my package was damaged during the transit? If your package was damaged upon the delivery, you need to contact Shipzee support within 48 hours by sending email containing detailed description, photos of the damaged package and its content and evaluation of the damage. We will open a case to determine the cause and assess the damage. 10. Will I get a refund if my order is lost during the transit? Yes. If your order is lost during the transit, Shipzee will issue a full refund. 11. Is Shipzee responsible for any malfunctions caused by manufacturer? No. Shipzee is an intermediary service provider and not a manufacturing company or a retailer of any specific goods. Shipzee is not responsible for any manufacturing defects or any other flaws that could cause malfunction of the purchased item. Any warranty claim should be filled directly to the original seller. Important: In case seller agrees to issue full refund for defective item, refund will be transfered to your account only after defective item is handed-over to the courier. 12. Can I cancel my order and receive a full refund if my items have not yet been shipped to Lithuania? Orders which have not yet been shipped to Lithuania can be canceled. Important: additional fees will be applied if you cancel your order: a fixed 5% off your order total but not less than $5. If seller applies order return costs, it will be deducted from the total refundable amount. 13. Can I cancel my order and receive a full refund if my items have been already shipped to Lithuania? No. Orders which have already been shipped to Lithuania cannot be canceled. 14. Can I cancel my order or get a partial refund for prolonged delivery term? In some cases customs officers withhold packages for additional verification. We cannot influence this process in any way. Order cancellation or partial refund is not possible in such cases. 15. When do you usually dispatch your shipments? All air and sea shipments are dispatched every Thursday. 16. Why item price shown in the offer is higher than in an online store? Item price may increase due to applied sales tax or domestic shipping costs from the store to our office in USA. Final item price can be checked by entering Shipzee address during the checkout. 17. What is a Sales Tax? Sale Tax is an alternative to VAT in Europe. Sales Tax is applied when an online store does not have a physical store in a state where the item is being shipped. 18. Can I place an order under a company name? Our services are provided for individuals only. 19. Can I receive a VAT invoice for my order? 20. Can I get a purchase receipt? Yes. You will receive a purchase receipt by email shortly after you place an order. 21. Do you ship shoes in original box? No, shipping shoes in original packaging is not cost effective, thus all shoes are not shipped in original boxes. If requested before making a payment, we can ship shoes in original boxes for additional charge. 22. How long does it take to get a refund? Refund operations are carried out within 1-3 business days from the date of cancellation. Once the refund transaction is complete, your money should reach your account within 1-10 business days, depending on the payment method you choose.